Leo Miceli is a native of the South City neighborhood of St. Louis, where he remains active in his community through his involvement as a member of St. Raphael’s Men’s Club, UNICO, and St Jude Children’s Research Hospital. Leo graduated from Augustinian Academy in 1968. He received a B.S. degree from St. Benedict’s College in 1972 at which point he joined the family funeral home business. Having seen families through life’s darkest hour, Leo entered the insurance business in 1974 in an effort to help families both prepare for, and be better protected from, possible loss. For that reason, Leo provides all lines of insurance, including life, health, long term care, Medicare and Medicare Advantage products, and property and casualty. Leo remains active in the local insurance and business community through his participation in the Missouri Association of Insurance Agents and the Strategic Independent Agent Alliance, where he continues to educate himself on new methods of helping his clients with their long-term planning. When you ask Leo what he likes most about the insurance business, he responds “meeting new people and learning how and what they do for a living and how I can help them”. This insatiable curiosity and desire to help others makes Leo Miceli the ideal choice for your long-term insurance and retirement planning. Leo e’ un buon uomo in tutti gli aspetti possibili. Come un papa e un marito, Leo e’ il meglio esempio di uomo gentile e simpatico. Debbie has worked in the commercial insurance industry for approximately 20 years. 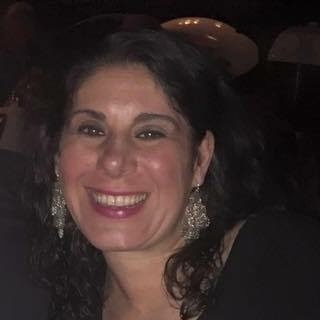 Over the years, she has held positions in various areas of commercial insurance and is able to apply these experiences and knowledge to the needs of her clients at L. P. Miceli, Inc. Debbie also holds a Bachelor of Science degree in Elementary Education. She loves interacting with people and strives to successfully solve any problems or issues her clients may have quickly and professionally. Hi I am Tina Miceli. I am the personal lines manager and have been with Lp Miceli Inc for 9 years. I truly shop the marketplace and try to find the best fit for each of my customers needs. I grew up in St. Louis Hills and currently live in the Lindenwood park/soha neighborhood. I have lived in St. Louis all my life except when I lived in Dayton to attend UD! I also am involved with fundraising for St. Jude Children's Research Hospital and have been my entire lfe. My two nephews are so much fun and I try to spend as much time with them as I can. Give me a call I would love to gain your business.